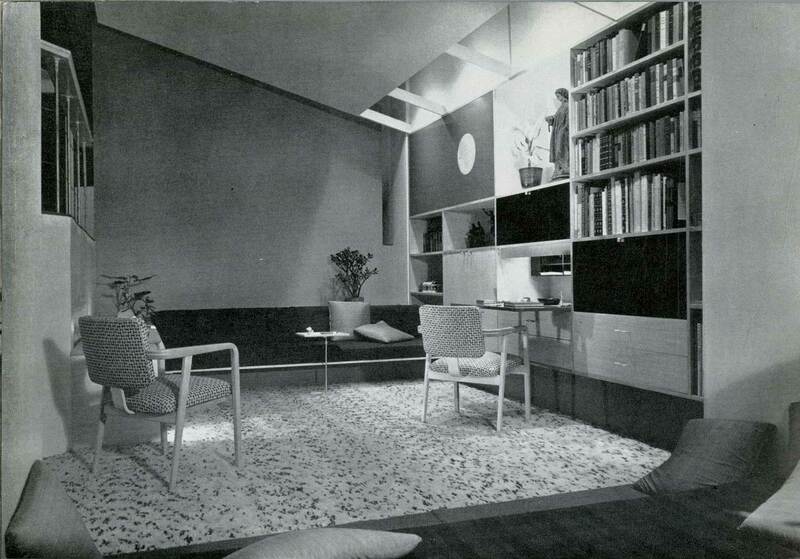 Some of the key designers of mid-20th century American modernism trained at the AA including Florence Knoll Bassett (born Florence Schust, 1917, studied in the AA Third Year, 1938-39) and Alexander Girard (1907-93). Girard was born in New York City and studied architecture at the AA from 1924-1929, where he received several awards and prizes. He set up his own design studio in New York in 1932, and later worked alongside Charles and Ray Eames and George Nelson, specialising in textile design and becoming the head of the textile division of the Herman Miller company in 1952. His textile patterns used geometric shapes and bright colours, combining Pop art and folk art references. He also worked in the fields of furniture, exhibition, interior design and graphic design. Girard’s most well-known interiors include the Irwin Miller House in Columbus, Indiana (1953, architect Eero Saarinen), his own home in Santa Fe (from 1953) and the restaurants La Fonda Del Sol (1960) and L’Etoile (1966) in New York. In 1965, Girard designed the corporate identity for Braniff International Airways. 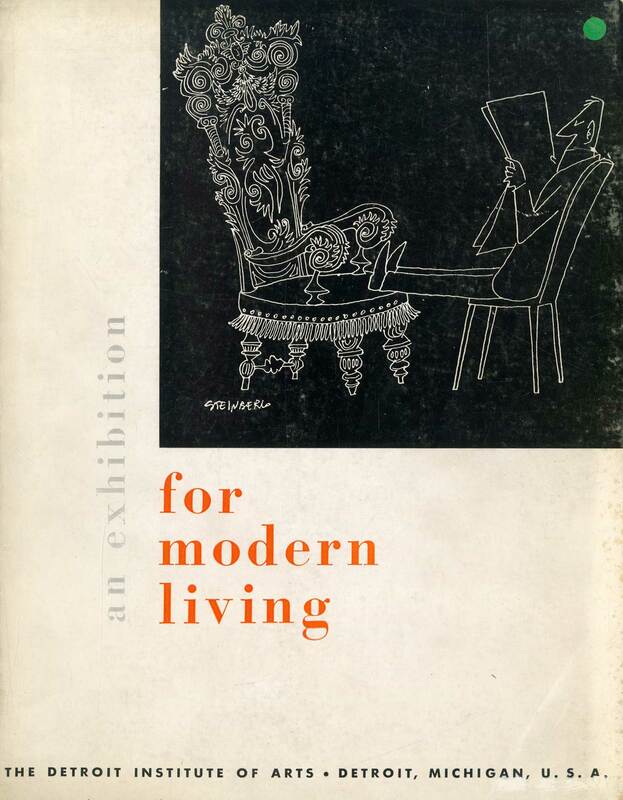 The Library holds a catalogue to an exhibition curated by Girard entitled ‘An exhibition for modern living’, held at the Detroit Institute of Arts from 11 September-20 November 1949, which intended to show examples of good design for the masses. 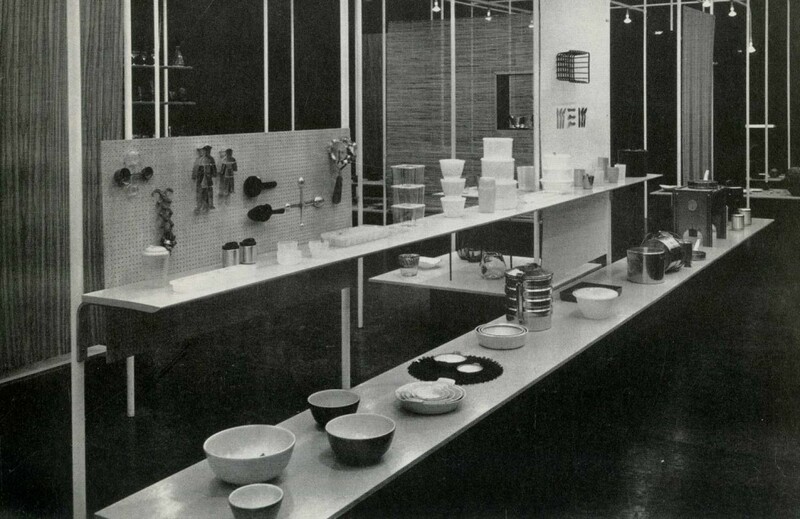 This exhibition has achieved legendary status in the pantheon of American modernism, due to Girard’s stewardship and the room installations by Alvar Aalto, Bruno Mathsson, Jens Risom, Florence Knoll, Eero Saarinen, Van-Keppel Green, George Nelson, Charles and Ray Eames, and others. Edgar Kaufmann Jr., Advisor to the Director of Architecture and Design, Museum of Modern Art, New York, also was on committee of advisors and contributed to the catalogue. In addition to the room sets and the Hall of Objects (including textile designs by Girard), there was an historical section, The Background of Modern Design, showing the evolution of the cantilevered chair. 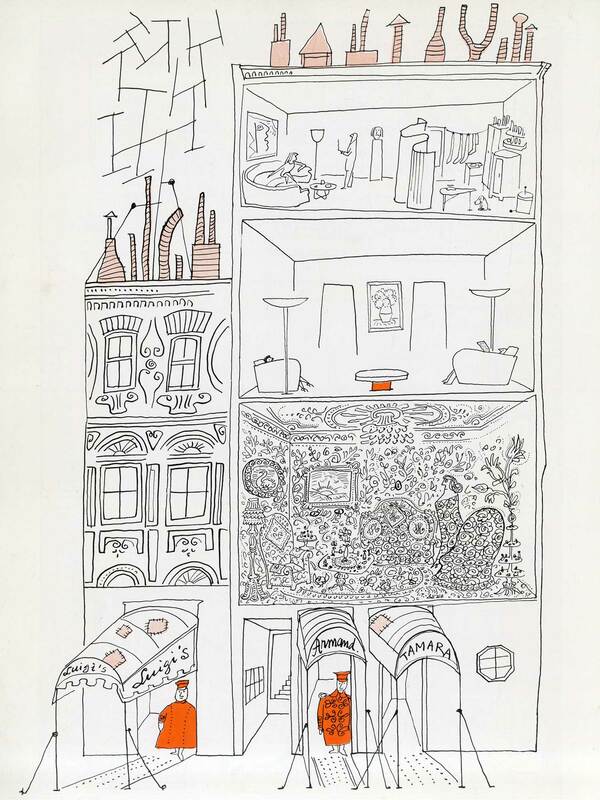 Lastly, a mural by Saul Steinberg, entitled ‘How Saul sees us’, offered a humorous view of people and their homes.